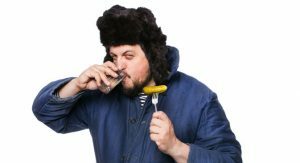 Home » Russian people » 11 Ridiculous Myths About Russia That Most People Believe In. You may read some facts about Russia but ridiculous myth surrounding the country really annoy Russian people. Among the silly myth are the mysterious natural wonders in Russia and even the legendary myth surrounding Lake Baikal. However, no one can really tell if you never set foot in Russia. What are myths and arent? Of all the world’s nations, it is possible Russian is the ones that get stereotyped the most. It may sound amusing as these national clichés for an outsider. However, Russians people don’t find them very funny at all. Some of the most ridiculous myth about Russia are over exaggerated mainly by the media. They are sometimes irritating and even offensive. However, keep an open mind stereotypes exists in every country. These ridiculous myths about Russia are just that – myths. Russia is one of the coldest countries in the world in during winter time. It can reach up to -30 degrees Celsius (-22 Fahrenheit). However, the country has four seasons and experience changes of weather. There are places to visit in spring and many activities to do that Russian like to do in springtime. In addition, There are many summer festivals and there are many things to do when the leaves start to fall. However, it is true that the Russian forest in the north side is almost always covered in snow. Moreover, it is cold in a certain area all year round and getting even colder further North. In addition, various promotion about Winter Festivals and wonders highlight Russian winter more than ever. Russian vodka is among the best selling items to buy in Russia. this popular alcoholic beverage also a great drink to warm the body in the cold weather. You can buy this beverage almost anywhere in Russia. However, it badly portrays Russian people in daily life. They don’t drank vodka until drunk all the time al days and night long. Among the ridiculous myth about Russia, this myth really upset Russian people. They may drink to warm the body in cold days. They also may enjoy a glass or to with some dancing to highlight many celebrations according to the seasons. However, Russian will not get drunk for no apparent reasons. Keep in mind that dangerous street is everywhere, especially late at night with low light and quiet places. Many tourists fear to come to Russia thinking it is too dangerous. This ridiculous myth hider tourism is Russia for decades. Although modern Russia is opening up to foreign visitors, held many events and festivals. Moreover, Russia invites International students to studies in their most favorite universities and participate in many International events. This ridiculous myth may roots from the cold war a long time ago. However, Russians actually love American trends, media, music, and all about it. Their metros and trams are inspired by American development. American music and fashion also influence Russia in a major way. If you do all the paperwork there is really no need to worry about anything. It’s easier than ever now to get the invitation to travel to Russia with the right visa. The invitations can even come from any hotels or places of stay. Russia also offers many scholarships and seats for International students in their universities. Tovarishch (“comrade”) was a word coined by Russian to replace the pre-revolutionary ways of addressing people. It is only shown in western movies on how they portray Russian. Their common calling is Gospodin (for male), and gospozha (for female). However, if you do hear this in Russia, it’s usually said with a hint of irony. This ridiculous myth is completely opposite to the reality. Russian are not racist at all and very open-minded. They are part of a very big country and manage to develop so much. They are not easy to be friendly to new people. In fact, they need time to be warm to others. However, once they did, they are very warm. They are always curious about and visitors from other countries. Russian tend to display a polite and serious gesture in public. However, among friends actually, they are very warm, friendly, and also funny. They consider impolite to be loud and noisy in public. However, they are not all gloomy. The enjoy many festivals where they sing and dances together with the surrounding people. Again another ridiculous myth due to western movies and media. Russian secret service is all the same as American FBI or the British officers. This myth comes from the Cold War and exaggerated by Hollywood movies. This particular myth wrongly describes the daily life of the Russian people. This is another Cold War-era ridiculous myth that is not a great topic to mentioned to Russian people. There are some Russian that still think it is a good idea. However, the number is getting less and less every day. Moreover, for most Russian people, communism meant the scarcity of food, being afraid of the government and neighbors. This sad part of Chechnya history is long in the past. It is safe to travel to this part of Russia now. Russians Chechnya is more than every promoting their lands to visitors. There are so many facts about the new Chechnya. You don’t have to be worried to get into a war in Russia. There is no terrorist in this Muslim city. However, you always need to show your ID cards, but then again it is a common thing to do while traveling. Yes, while the most ridiculous myth about Russia still exists until today, it is a part of their history. However, Russian manage to establish more positive new myth. Their development in the modern era with advanced technology able to promote a positive side of Russia. Moreover, it also counteracts myth that some people still believe in.